VietNamNet Bridge - Vietnamese are buying more property in Australia to have homes for their children studying in Australia, or to settle down in the country through investment programs. A Vietnamese real estate firm spent $6 million to acquire an apartment project in Racecourse in the Kensington area of Melbourne. This was the first time a Vietnamese company has developed a project in the Australian housing market, competing with leading investors in the region. Dany Clark from Knight Frank investors has shown more interest in the Australian real estate market since the first weeks of the year. The majority of investors are still from China, but he sees interest increasing from Taiwan and Vietnam. One business recently spent $18 million to acquire a cow farm, while a real estate group spent $16.1 million to buy a hotel project in the central area of Sydney. In March, Vietnam and Australia officially inked the CPTPP, which will increase investments between the two countries. Nguyen Le Van from IWealth Pro Property Consultant said that a high number of Vietnamese are rushing to buy properties overseas for different purposes, either to have homes for their children who are studying abroad or to seek citizenship. Van said besides Singapore, the US and Canada, Vietnamese money has been poured into the Australian market. In a move to support Vietnamese businesses and individuals in Australia, Vietcombank, one of the four largest Vietnamese commercial banks, is considering opening a branch in the country, together with branches in Laos and the US. In general, properties in Australia attract Vietnamese investors thanks to high safety, low risks and the market transparency. However, an analyst said profit margins are not attractive in the short term because real estate prices rose too much in the last few years. Moreover, the uptrend of the interest rate as a result of dollar appreciation has also put pressure on the market. 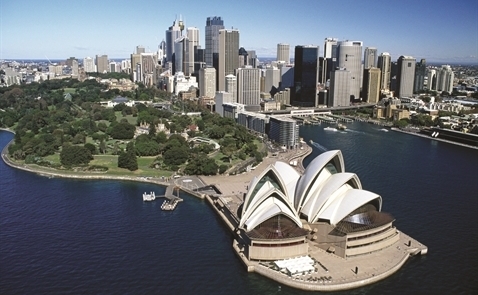 According to LoreLogic, house prices in Sydney increased slightly by 3.1 percent in 2017, much lower than the two-digit increases seen in 2015 and 2016. However, houses in the country are still expensive as their value is 13 times higher than the average income per capita. However, investments in Australia are still a good choice for those who have high incomes. In related news, a report from NAR (National Association of Realtors) showed that in the last fiscal year, from April 2016 to March 2017, foreigners spent $153 billion to buy 284,455 real estate products in the US. How can Vietnamese transfer USD abroad to pay for house purchases?